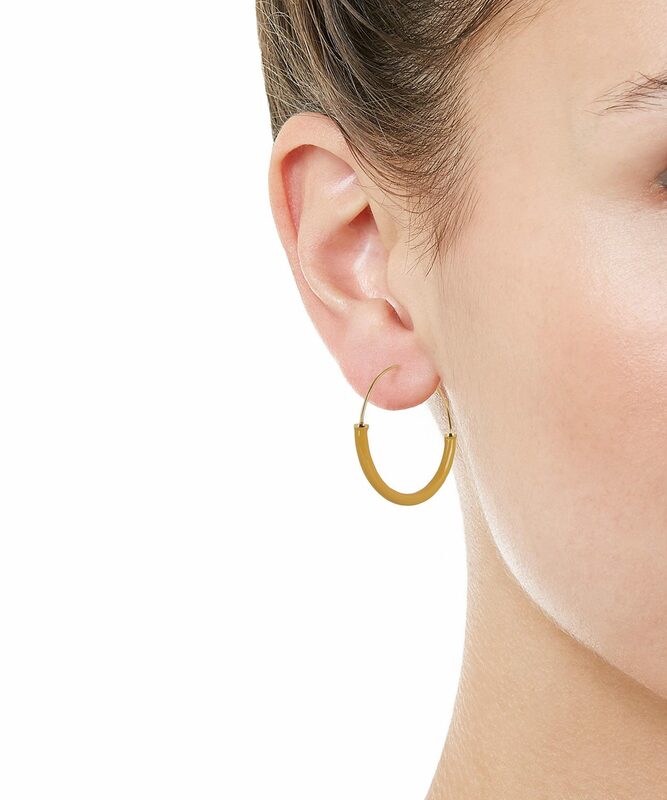 Today I bring you a few things that have been improving my quality of life lately, starting with these neither-too-big-nor-too-small-but-just-perfect hoop earrings with a pop of mustard yellow for fun. 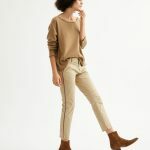 I like to wear these on days that I’m dressed especially tomboyish—as I am most of the winter—because they femme things up a bit. Just so you know, they are sold as singles, so you’ve got to buy two to make the pair. UPDATE: This yellow pair is no longer on the site, so I’m guessing they sold out. But here they are in a very nice blue. 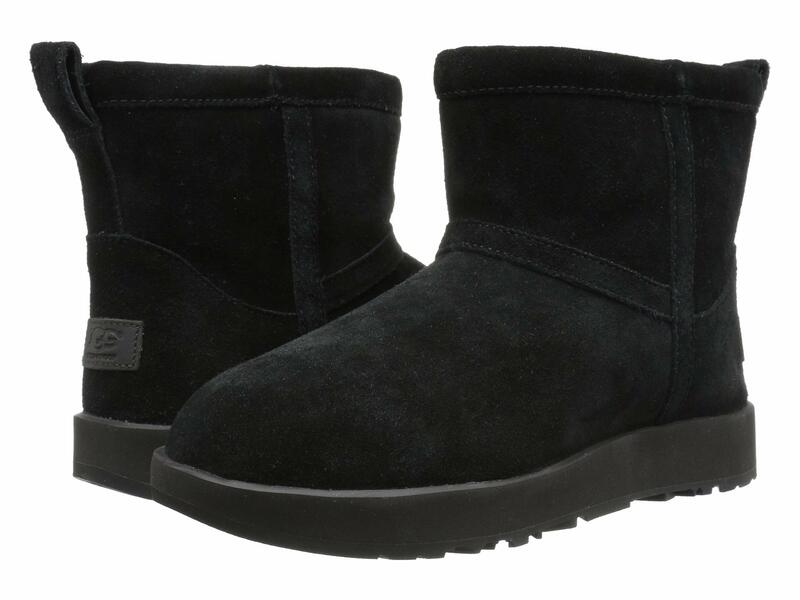 That burn on my foot is finally healing, but for a while there, very few of my shoes fit comfortably enough to wear, so I pulled the trigger on these short waterproof Uggs, which don’t really read as Uggs at all due to their height, and are, of course, the soul of comfort. 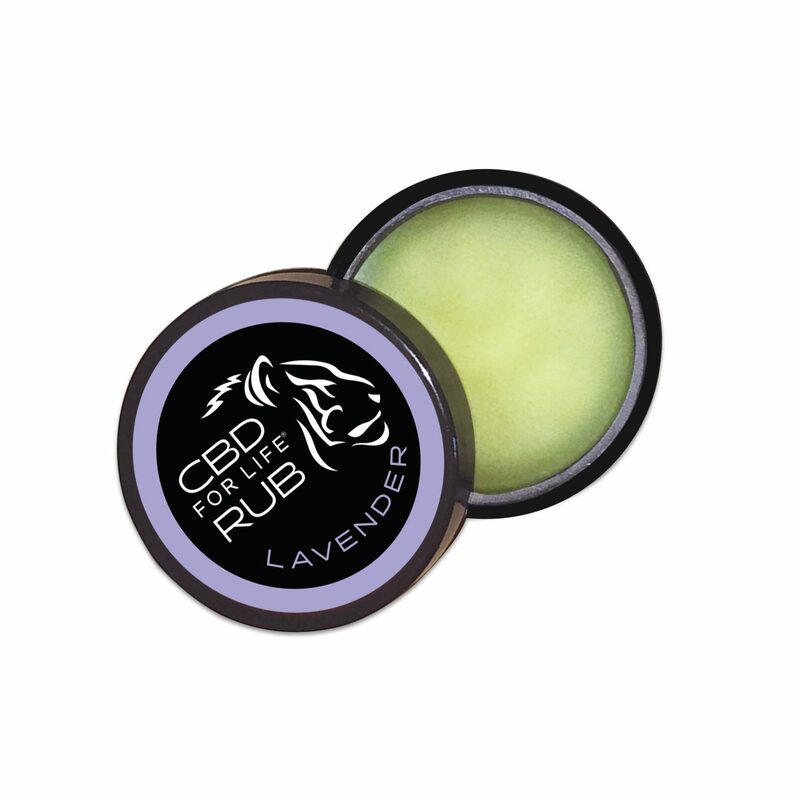 I honestly don’t know how this lavender-scented CBD muscle rub made it into my home: I have no recollection of buying it (which, sadly, is no assurance that I didn’t) so I’m thinking somebody gave it to me as a gift. So thank you, anonymous (probable) gifter: I apply it at bedtime to my hands and temples, and it really helps chill me out. Now it’s your turn: what little things are making a big difference in your life these days? I’m going with the trifecta: My morning coffee, which is a half-caff blend, somehow seems to taste all the better when my husband makes it and leaves it for me to find upon waking. I add vanilla almond milk creamer and a teeny splash of 1/2 and 1/2 (I’m very particular about my coffee!). I’ve started my “journey toward health”…eyeroll…so I’m taking a daily late-afternoon walk down to the ocean. Hence, 213 million sunset photos on my Instagram feed. I’ve fallen down the rabbit hole that is Beauty Pie, a cosmetic & skincare “club” founded by Marcia Kilgore of Bliss and FitFlop fame, and I’m pretty crazy about the skincare. It makes my nighttime routine fun! I’m going with the trifecta: My morning coffee, which is a half-caff blend, somehow seems to taste all the better when my husband makes it and leaves it for me to find upon waking. I add vanilla almond milk creamer and a teeny splash of 1/2 and 1/2 (I’m very particular about my coffee!). I’ve started my “journey toward health”...eyeroll...so I’m taking a daily late-afternoon walk down to the ocean. Hence, 213 million sunset photos on my Instagram feed. I’ve fallen down the rabbit hole that is Beauty Pie, a cosmetic & skincare “club” founded by Marcia Kilgore of Bliss and FitFlop fame, and I’m pretty crazy about the skincare. It makes my nighttime routine fun! I won’t wear Ugg boots, but I love my Ugg gloves and Ugg slippers. Both are so warm and wearing very well. A recent purchase that I’m very pleased with, is the non-aluminum all natural deodorant, Ursa Major – Hoppin Fresh, which is working great (not sure if I read about that one here, but it smells spa-like and absorbs moisture unlike some other natural deodorants). Lastly, even though the holidays are over, I’m still getting a lot of enjoyment from my Nest candles in their “Holiday” fragrance. I won't wear Ugg boots, but I love my Ugg gloves and Ugg slippers. Both are so warm and wearing very well. A recent purchase that I'm very pleased with, is the non-aluminum all natural deodorant, Ursa Major - Hoppin Fresh, which is working great (not sure if I read about that one here, but it smells spa-like and absorbs moisture unlike some other natural deodorants). Lastly, even though the holidays are over, I'm still getting a lot of enjoyment from my Nest candles in their "Holiday" fragrance. I just bought 5 heattech shirts from Uniqlo…thin and warm! They allow me to wear some of my lighter sweaters/blouses in the winter so expand my wardrobe. I especially like the ones with the deep scoopneck. I just bought 5 heattech shirts from Uniqlo...thin and warm! They allow me to wear some of my lighter sweaters/blouses in the winter so expand my wardrobe. I especially like the ones with the deep scoopneck. I have a couple of loose fitting thick wellmade cashmere sweaters that have been in constant rotation this New England winter. The car I have now is the first I’ve had with a heated steering wheel, and it’s genius. Other regular outfit items that only get pulled out for winter— a pair of Fluevog boots that are made to last forever, are walk-for-days comfortable, and sit squarely in my sartorial sweetspot of age-suitable (for me) punk and pretty. A few pairs of warm black tights that I can wear with said boots, and skirts that are not too short, but shorter than I’d wear bare legged in summer…. And I’m enjoying the comments and posts on this site! Noting especially people’s curly hair routines. I have a couple of loose fitting thick wellmade cashmere sweaters that have been in constant rotation this New England winter. (And while we’ve had some cold patches and some dumps of snow, it’s so often sunshiney. I mean, I’ve lived in other places where winter is less newsworthy, but means the near constant oppression of grey drizzle. And t’hell with that.) The car I have now is the first I've had with a heated steering wheel, and it’s genius. Other regular outfit items that only get pulled out for winter— a pair of Fluevog boots that are made to last forever, are walk-for-days comfortable, and sit squarely in my sartorial sweetspot of age-suitable (for me) punk and pretty. A few pairs of warm black tights that I can wear with said boots, and skirts that are not too short, but shorter than I’d wear bare legged in summer.... And I’m enjoying the comments and posts on this site! Noting especially people’s curly hair routines. Ugh, sorry. Is there a secret to line breaks? Right now- anything moisturizing. I live in a dry climate and right now extremely cold! The biggest thing I discovered in a “well what could it hurt?” moment was good old Vaseline. The skin all around my eyes is really taking a hit this year- redness underneath, dry crepe-y lids(yuck). I read an article saying sometimes the circles under your eyes can be caused by eczema so I tried an OTC cortisone cream. No joy. Finally, rooting around my bathroom closet in desperation, I found a pot of Vaseline. That night after cleansing, I slathered it all around my eyes and woke up in the morning to Hallelujah transformation. I am not exaggerating. I’ve never used anything that made so much difference so quickly. Goodbye dry wrinkles on my eyelids and it made my eye bags 50% less noticeable. And I am thrilled!! Another small thing I’ve used for many years that makes a huge difference is baking soda. I sprinkle it on my toothpaste (whitening)every morning and it keeps my teeth a lovely (not scary fluorescent) white. Makes me feel great and ready to take on the day! Right now- anything moisturizing. I live in a dry climate and right now extremely cold! The biggest thing I discovered in a “well what could it hurt?” moment was good old Vaseline. The skin all around my eyes is really taking a hit this year- redness underneath, dry crepe-y lids(yuck). I read an article saying sometimes the circles under your eyes can be caused by eczema so I tried an OTC cortisone cream. No joy. Finally, rooting around my bathroom closet in desperation, I found a pot of Vaseline. That night after cleansing, I slathered it all around my eyes and woke up in the morning to Hallelujah transformation. I am not exaggerating. I’ve never used anything that made so much difference so quickly. Goodbye dry wrinkles on my eyelids and it made my eye bags 50% less noticeable. And I am thrilled!! Another small thing I’ve used for many years that makes a huge difference is baking soda. I sprinkle it on my toothpaste (whitening)every morning and it keeps my teeth a lovely (not scary fluorescent) white. Makes me feel great and ready to take on the day! FYI: As a longtime eczema sufferer, I discovered the hard way that cortisone cream can thin your skin with steady use. Be really careful! Vaseline is my secret weapon also – I use it as an eye cream at night just as you described and nothing has worked better for me including all the really high end brands I’ve tried. Vaseline is my secret weapon also - I use it as an eye cream at night just as you described and nothing has worked better for me including all the really high end brands I’ve tried. Badger balm unscented for my hands, elbows, and feet. Long underwear. The public library. Lemon! Two friends recently gave me lemon body lotion and lemon body balm which have been life savers during this cold NY winter (with today being a welcome exception) and I am just loving it! Can’t get enough of citrus. Perks me up and makes me feel happy! That and my Fleur d’oranger eau de toilette. Lemon! Two friends recently gave me lemon body lotion and lemon body balm which have been life savers during this cold NY winter (with today being a welcome exception) and I am just loving it! Can't get enough of citrus. Perks me up and makes me feel happy! That and my Fleur d'oranger eau de toilette. I love the earrings, but the link is not working. I think they sold out of the one I linked to; see post for update. Here’s my cheap and chic trifecta: One: I’m actually finally succeeding at sticking to a budget so Trader Joe’s is making a huge impact on my success with that! Two: Rinsing my scalp with apple cider vinegar once a week and coating my curls in a homemade mask of coconut and avocado oil Pretty much eliminates winter frizzies…so I’m feeling all smug and superior that I’ve found cheap kitchen ingredients to yield me salon(ish) results, lol and, on that curly girl note, life improver number three: my microfiber towel and green monster hand shaped diffuser from deva curl for styling afterword. As all curlies know…a good curl day is a good day!! Here’s my cheap and chic trifecta: One: I’m actually finally succeeding at sticking to a budget so Trader Joe’s is making a huge impact on my success with that! Two: Rinsing my scalp with apple cider vinegar once a week and coating my curls in a homemade mask of coconut and avocado oil Pretty much eliminates winter frizzies...so I’m feeling all smug and superior that I’ve found cheap kitchen ingredients to yield me salon(ish) results, lol and, on that curly girl note, life improver number three: my microfiber towel and green monster hand shaped diffuser from deva curl for styling afterword. As all curlies know...a good curl day is a good day!! Having exited two very big things– my house of 20 years & my marriage of 18 years— one month ago, I’m all about the little things: Zipcar; the public library and the excellent pop-up used bookstore in my new neighborhood; locally distilled whiskey; “The Split” on Hulu; Vitacost (my go-to instead of Amazon); the cheap but good bluetooth speaker in my office; “Claire DeWitt & the City of the Dead” by Sara Gran; nice pens in bright colors. This new-to-me feeling of surround-sound happiness builds on itself so there’s no end of little things that have a huge effect. Having exited two very big things-- my house of 20 years & my marriage of 18 years--- one month ago, I'm all about the little things: Zipcar; the public library and the excellent pop-up used bookstore in my new neighborhood; locally distilled whiskey; "The Split" on Hulu; Vitacost (my go-to instead of Amazon); the cheap but good bluetooth speaker in my office; "Claire DeWitt & the City of the Dead" by Sara Gran; nice pens in bright colors. This new-to-me feeling of surround-sound happiness builds on itself so there's no end of little things that have a huge effect. Yes to the little things and good pens in bright colors! Also, I love Sara Gran and the Claire DeWitt books! Her book Dope was great and Come Closer still haunts me. I just finished Claire DeWitt and the Bohemian Highway last night! Sara Gran is brilliant! Disco music! It perks up my tempo on bitterly cold days, when skin freezes in less than a minute. Disco music! It perks up my tempo on bitterly cold days, when skin freezes in less than a minute. "I feel love..."
I received CBD gummies and CBD cream for Christmas (my relatives trying to tell me something?). Neither of them seemed to do anything for me. The book Ninth Street Women, which I think I learned about here. I’ve never felt like I understood abstract expressionism enough to really appreciate it until now. This book provides so much historical context for the artists and their work that I feel like a puzzle has been solved. Plus, it’s just a great read. I received CBD gummies and CBD cream for Christmas (my relatives trying to tell me something?). Neither of them seemed to do anything for me. The book Ninth Street Women, which I think I learned about here. I’ve never felt like I understood abstract expressionism enough to really appreciate it until now. This book provides so much historical context for the artists and their work that I feel like a puzzle has been solved. Plus, it’s just a great read. Oh that book looks great! I was so disappointed (but not surprised) at the commentary thrown at Elaine de Kooning when the American Art Museum (Smithsonian) put up a solo show a few years ago. CBD oil from Open Minded Organics in Bridgehampton means my arthritis has not flared up ONCE this winter! I take 50mgs every evening. Pilates always makes my life better because my body feels better. And my daughter is here along with her pup (my pup’s bff) and they will be here for the next couple of months which means my happiness knows know bounds. Also, I look forward to GOCA every morning! CBD oil from Open Minded Organics in Bridgehampton means my arthritis has not flared up ONCE this winter! I take 50mgs every evening. Pilates always makes my life better because my body feels better. And my daughter is here along with her pup (my pup's bff) and they will be here for the next couple of months which means my happiness knows know bounds. Also, I look forward to GOCA every morning! So glad to hear that the CBD is keeping your arthritis at bay, c.w. You and your daughter have a wonderful time! Heattech Long underwear from Uniqlo. 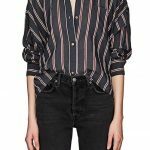 With that underneath, I can wear my thin, summer shirts through the winter. And I agree that this blog is a little thing that makes a big difference. We love you, Kim! Heattech Long underwear from Uniqlo. With that underneath, I can wear my thin, summer shirts through the winter. And I agree that this blog is a little thing that makes a big difference. We love you, Kim! LOVE that CBD rub! Pro tip: sign up at the CDB for Life site for the emails, because they have sales. Yes, absolutely, flannel sheets. Despite a meat-locker bedroom, thanks to 2 walls of leaky windows, my LL Bean flannel sheets never feel cold, just cozy, when I dive into bed. Also— the discovery of Trader Joe’s Everything But The Bagel Sesame Seasoning Blend. Improves just about everything, from breaded chicken to avocado toast. TJ’s Everything But the Bagel Seasoning is my favorite discovery too! I don’t live near a Trader Joe’s, but I’ve found there are lots of other brands of the same stuff. You haven’t lived till you’ve tried it on popcorn, fresh popped in olive oil. TJ's Everything But the Bagel Seasoning is my favorite discovery too! I don't live near a Trader Joe's, but I've found there are lots of other brands of the same stuff. You haven't lived till you've tried it on popcorn, fresh popped in olive oil. Ooh, I haven’t tried it on popcorn yet! Love it on eggs! Ooh, I haven't tried it on popcorn yet! Love it on eggs! Love you, Kim, but those do look like Uggs. – my new and very soft leather Baggu mini tote bag. It’s just slightly bigger than my weekday bag, so I can fit in an unbrella, my slim Kikkerland water bottle and even a toiletries case with tampons, along with all the other usual necessities — phone, wallet, shades, keys, Tylenol. – low snakeskin booties — great way to liven up a more conventional work outfit or be ready for drinks out after. I was never into snakeskin until last year, when I saw all the great snakeskin boots out. – Rediscovered my love of grape nuts. Wonderful with skyr and some fruit. Great, quick pre or post workout snack. Love you, Kim, but those do look like Uggs. My trifecta, right now: - my new and very soft leather Baggu mini tote bag. It’s just slightly bigger than my weekday bag, so I can fit in an unbrella, my slim Kikkerland water bottle and even a toiletries case with tampons, along with all the other usual necessities — phone, wallet, shades, keys, Tylenol. - low snakeskin booties — great way to liven up a more conventional work outfit or be ready for drinks out after. I was never into snakeskin until last year, when I saw all the great snakeskin boots out. - Rediscovered my love of grape nuts. Wonderful with skyr and some fruit. Great, quick pre or post workout snack. I am loving the fleece-lined pants I got from Eddie Bauer before Christmas. They are just the thing for early morning dog walking. I add my long johns from Costco if it’s really cold. I am loving the fleece-lined pants I got from Eddie Bauer before Christmas. They are just the thing for early morning dog walking. I add my long johns from Costco if it's really cold. Another clever & unique post and I look forward to GOACA every day!! I would be lost without my Chi Volcanic Lava 1″curler. I am telling you ladies, this tool is the best thing to happen to my poofy wavy (in not a good way) hair. I almost wrote about it in Kim’s post about cost per wear (however as a cost per use 😌). I am also enjoying my new Dr Martens that help me slammingly rock through the frigid temps, snow, ice, & whatever else Mother Nature throws my way. And to mirror the trifecta theme, my cat Fred brings joy and love to my life. Another clever & unique post and I look forward to GOACA every day!! I would be lost without my Chi Volcanic Lava 1"curler. I am telling you ladies, this tool is the best thing to happen to my poofy wavy (in not a good way) hair. I almost wrote about it in Kim's post about cost per wear (however as a cost per use 😌). I am also enjoying my new Dr Martens that help me slammingly rock through the frigid temps, snow, ice, & whatever else Mother Nature throws my way. And to mirror the trifecta theme, my cat Fred brings joy and love to my life.